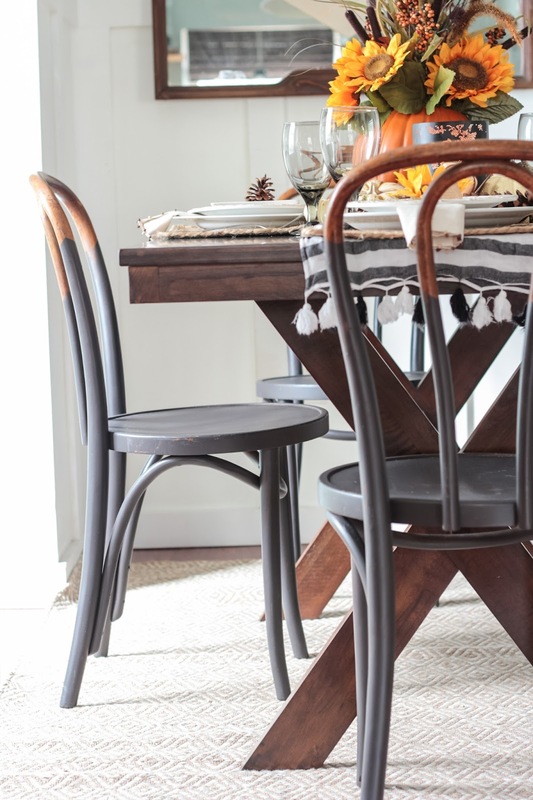 My 5 Favorite Last Minute Thanksgiving Tablescapes! Hey everyone and happy almost Turkey day! If you are anything like me, then you may realize that Thanksgiving is less than 48 hours away and its kinda freaking you out. Why? well, if you are hosting then your table may still look a little lackluster and you need a little inspiration to pull it together. Well lucky for you! 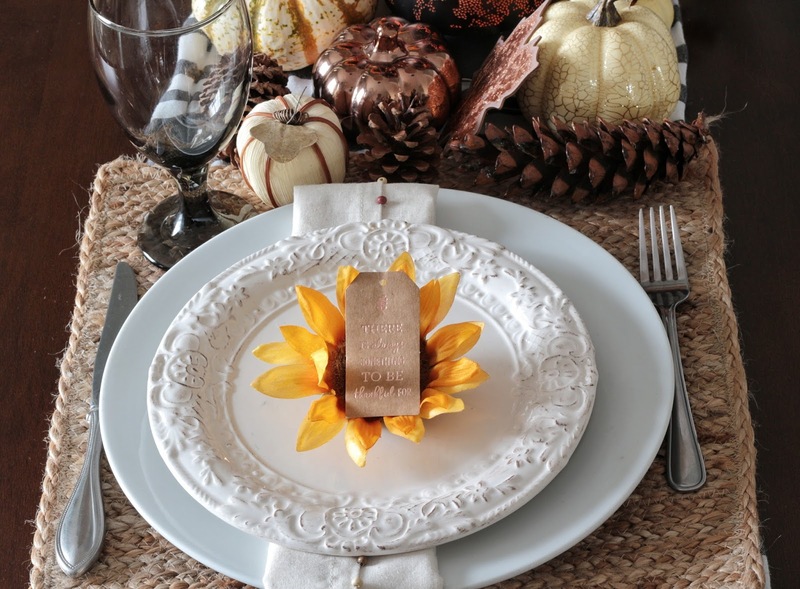 I have pulled together my 5 favorite last minute Thanksgiving tablescape ideas. Check them out and best of luck to you! I know you can pull it together in time. Loving this table by Alaya over at Behind the Big Green Door. The bold graphic tablecloth, gold gilded glasses and all the beautiful natural elements are non-fussy and an A+ in my book! Carli over at Fearfully and Wonderfully Made by Carli knocked out this simple and natural tablescape with traditional and modern elements. I love the jute placemats and the personalized floral details in each plate. Details are a big plus! 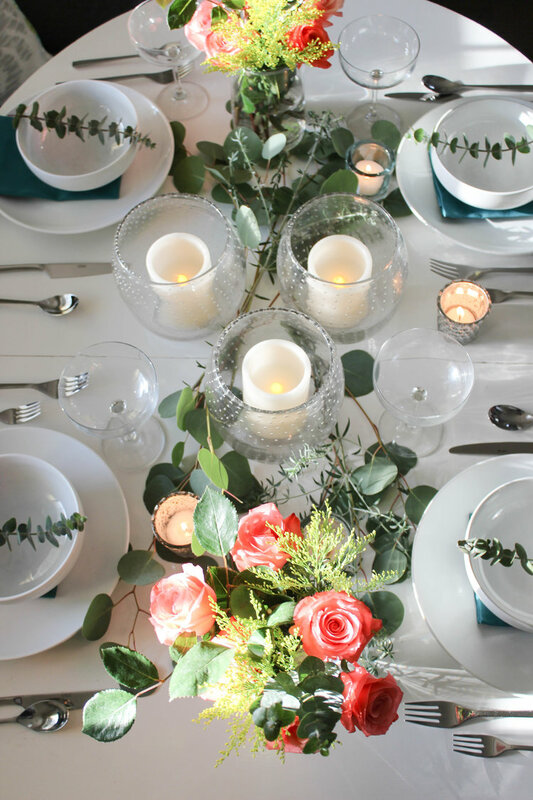 Whitney who blogs over at Whitney J Décor created this simple and modern tablescape full of various glass sizes, gold flatware and vintage brass candlesticks. I love the moodiness of it all. Linda totally rocked her blue and white tablescape. Lot’s of layering and pretty blue and white details. Love the gold candles and other gold details. Simply gorge! My friend Katrina created this modern and beautiful tablescape. I love the white dishes, simple greenery,fresh flowers and candles. So pretty! So there you have it! Are you inspired yet? I want to wish all of you all a happy and safe Thanksgiving! Until next time. Great Round up Erin! I love seeing how everyone's table looks for the holidays! Thanks for including mine in the post! Of course girl! Loved yours Alaya! Excellent choices! Each and every one had their own style and each was tastefully done! Very exquisite.. Totally agree with you Jamala! That's why they were some of my favs! Love em all!!! Thanks so much for including my tablescape! OMG, Erin! I missed this, thanks for including me. 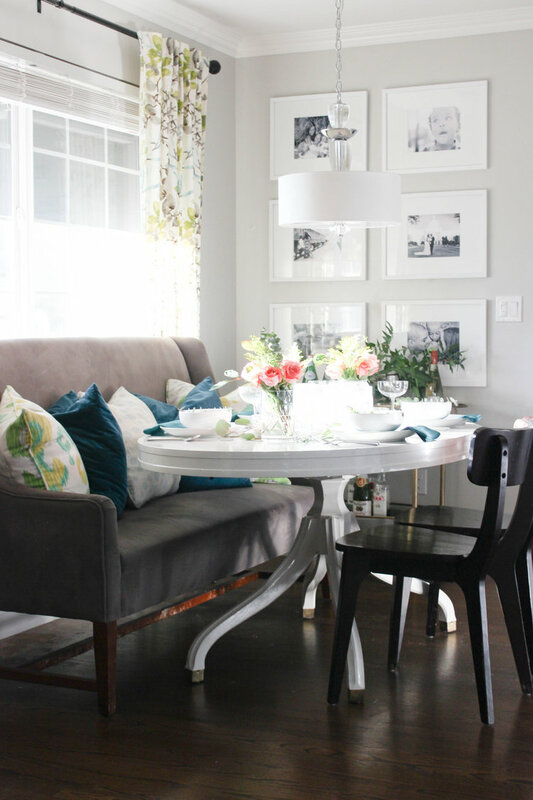 What I love most about all these tablescapes are that they're simple and beautiful enough for everyday table styling.